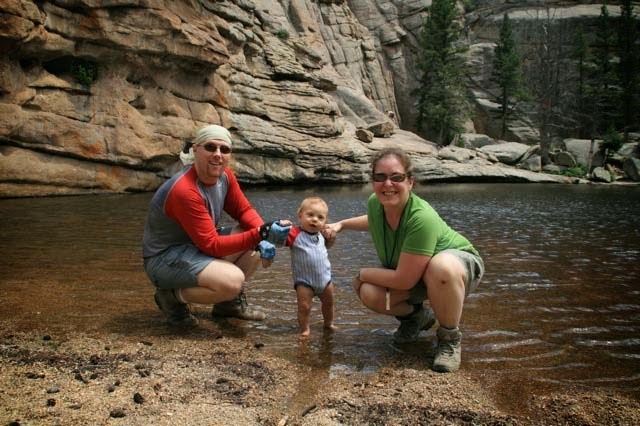 As a parent you may be intimidated about planning an extended hiking trip to a national park, since it usually involves multi-day accommodations, airplane travel, and car rentals…all with kids. 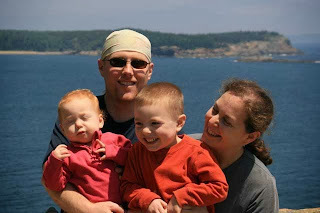 Then you have to figure out what to pack, where to eat, and which trails may be the most suitable for your young ones. While you can still do it on your own, the AMC now has at least one annual volunteer-led, hiking trip for all ages through the AMC Adventure Travel Program. All the planning is done for you, and you can travel with a group of like-minded individuals with kids! 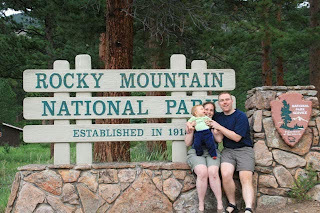 In 2009, when I was 7.5 months pregnant, my husband and I led the first family-AMC Adventure Travel hiking trip to the Canadian Rockies. We had a wonderful experience leading multi-generation families—children, parents, and grandparents—with children from 2.5 to 16 years old. We had easy, moderate, and harder hikes each day, visits to lakes, waterfalls, slot canyons, gondola rides, and scrumptious meals. 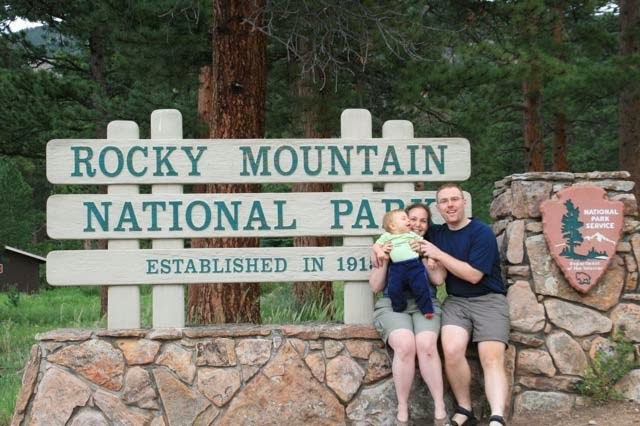 Since then there have been two other family trips to Colorado and Wyoming, led by our Rockies co-leaders. Although we took a break from leading for a few years to have another child, we decided to start planning our second trip and settled on Yellowstone National Park in Wyoming. With hundreds of hiking trails of varying levels, geological wonders, active wildlife, and endless educational opportunities, Yellowstone is a premier location for family adventure! Our trip, Family Adventures in Yellowstone National Park, is scheduled for June 29 to July 6, 2014, and will offer family-friendly hikes to different parts of Yellowstone each day, numerous opportunities to view wildlife, a naturalist-led excursion to Old Faithful, and a chuck wagon dinner show at a ranch outside of Jackson Hole on our last night. We will be based at Canyon Village, home to the “Grand Canyon,” of Yellowstone, and Inspiration Point, one of the most photographed areas of the park. We’ll stay in spacious Western Cabins, and each family will be given “Yellowstone” bucks to visit any restaurant or concession within the park. Several rental vans will give the group flexibility to do different activities each day beyond the leader-led hikes. Children over 5 can also participate in the Junior Ranger Program through the National Park Service. The hikes each day will be easy to moderate, and there will be options for harder hikes on a few occasions if one parent wishes to venture off on his/her own without the kids. The aim is to hike in the morning when it is cooler and then have a post-lunch, mid-afternoon activity that is kid-friendly. Ranger led talks and programs are available each night without the need to drive anywhere. Or, we may venture to Hayden Valley with a picnic dinner to look for wildlife! Whether your family is a first-time visitor to Yellowstone or a seasoned traveler of the National Parks, this trip is just the thing for those looking to minimize itinerary planning, while maximizing outdoor adventure. If you are interested in learning more, please visit the AMC Adventure Travel website or contact Stacia Biel. We hope your family will join us! Stacia is a local volunteer leader for the AMC’s Adventure Travel Program. She lives with her husband, son, and daughter in Winchester and enjoys hiking the local trails with her kids, gardening, and making her home more green-energy efficient.